I’m counting the days until Stephen Colbert is back on the air! The political satirist is taking over the host duties for new The Late Show which premieres Sept. 8 at 11:35 p.m. on CBS. I admit I’ve been going through Colbert withdrawals since he ended his legendary show, The Colbert Report, on December 18, 2014. That nine year run provided me – and millions of others - with endless hours of laughter. 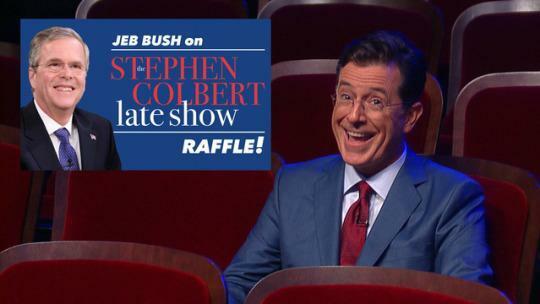 When I ran across this video of Colbert mocking Jeb Bush prior to his appearance on his show, I laughed once again with wild joy!